Thaddeus Stevens College of Technology is a premier, residential, two-year, accredited technical college that prepares students for skilled employment in a diverse, ever-changing workforce. Founded in 1905 with 15 students, Thaddeus Stevens College has grown to more than 1,000 students and 22 high-skill, high-wage technical programs. 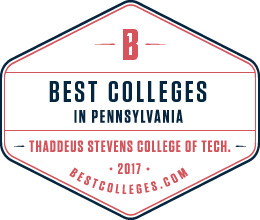 Thaddeus Stevens College of Technology is Pennsylvania's only state-owned two-year college of technology. is open to all members of the College community. Its purpose is to provide the information, resources, and services necessary to support the educational mission of the College. The library provides access to traditional resources in the LRC facility during posted operating hours and offers access to a variety of electronic formats 24 hours a day, seven days a week through the library’s home page, www.stevenscollege.edu/library. There are computers loaded with Microsoft Office applications and specialized technical software available for student use in the library. Each student is provided with a personal computer account and has access to the internet, e-mail, and library resources from any computer or computer hookup on campus. Additionally there are group study rooms with AV equipment and internet connections for students to use. The library also offers wireless connection capabilities. In addition to the library, the facility includes a seminar room, and two tutoring labs—math and English—as well as the computer information classroom/lab, and faculty and staff offices. All are housed in a modern 36,000-square foot facility located in the center of campus. The College Academic Center provides students with a location to obtain educational advice and assistance Monday through Thursday from 8:00AM to 8:00PM. On Fridays, they are open from 8:00AM to 2:00PM. On Sundays, tutors are available from 1:00PM to 5:00PM. Counselors and advisors are available to support student needs. In addition, materials and presentations are available to support student learning; topics include how to study, how to take tests, how to deal with stress and a number of other subjects for enhancing student learning. The Academic Center is located in Room 104 in the Hartzell Building. The Schwalm Student Center is one of the focal points of student activity on the main campus. Completely renovated by Thaddeus Stevens College students, the center boasts three floors, offering some of the following attractions: TVs, snack machines, surround-sound stereo, pool tables, foosball, snack area with microwaves, drink machines, lounge/study areas, Bulldog Cafe I, and private offices for student-led activities. The café is open Monday through Friday from 8pm to midnight. The College Store is located at the Cence House, immediately adjacent to the main campus on East End Avenue. The store offers items that reflect the pride and colors of Thaddeus Stevens College of Technology. Some items that can be purchased are T-shirts, sweatshirts, jackets, ball caps, and sweaters. Many of the items display the logo of the Thaddeus Stevens College bulldog, the official mascot. The story of the College can also be found online at the College’s website. AThaddeus Stevens College has a spacious, comfortable dining hall that serves 19 meals a week. The dining hall is closed during official school recesses and during the summer, except for the summer college-level education programs from late June to early August. Tuition students can buy meals on a cash basis or purchase a five- or seven-day meal plan. The one-story brick building that was completed in 1978. Jones Dining Hall was built adjacent to the site of the original power plant and smoke stack which were demolished in 1971. There is a large conference room at the front of the building; the dining room in the rear. It is adjacent to the Memorial Park. Ayers Alumni House is a two story brick home that sits adjacent to the campus on East End Avenue. It was purchased in the 1990s and renovated as the Alumni house/office; renovations were completed in 1995. It was originally the home of Superintendent John C. Stauffer; he as superintendent from 1941 until 1966. The Maintenance Building was completed in 1974 as a boiler and supply building. It now houses all physical plant materials for the College. A lovely iyllic setting which creates a pleasing view for anyone who sets foot in the park. Located adjacent to the Jones Dining Hall. The Academic District includes classrooms, laboratories, libraries, and shop areas where teaching, lecturing, or research occurs. The academic district is bounded by Stevens Street on the west and Mellor Building on the East and primarily includes Snyder Hall, Woolworth Hall, Leonard Hall, and Kreider Hall. The Branch Campus and Greiner Campus also includes a significant amount of Academic Space. Kreider Building is a two-story brick building that has undergone many reonvations over the years. The Kreider Building was built in 1909 and known as the "shop building" or the "old shop" building before it was renamed to Kreider Building in 1976. A wing was added in 1914, by the students. The Leonard Building is a one story brick building that was completed in 1949. At that time, it was known as the "New Shop Building". The named was changed to the Leonard Building during the 1970s. The Woolworth Building was completed in 1965, and then known as Shop Building 3. It was renamed the Woolworth Building in 1976. The Athletic District consists of all practice and game fields, field houses, and gymnasiums. This district is located on the southeastern edge of Campus and is bounded by Stevens Street on the west and Dauphin Street on the south. The 61,000-square foot Multipurpose Activity Center features a spacious gymnasium with a primary basketball arena, flanked by courts on either side. Two racquetball courts, an elevated 110-meter track, several coaching offices, a training center, extensive locker room facilities, and seating for approximately 2,000 highlight the center. The MAC also includes a state-of-the-art cardio area and an extensive array of free weights and a separate circuit training area, composed of numerous pin-loaded machines. Bevilacqua Stadium is a Historic Portion of the campus. It was dedicated to Richard Bevilacqua in 1989; he was a long time coach and instructor. The original field was completed in 1935. In 1964, the Track and Football Field were moved to make room for a new shop building. the new all-weather track and football field was completed in 1967. The Administrative District consists of offices, meeting centers, and other spaces that are involved in the administrative aspects of the Campus. This includes admission services, registration and financial services in the Hartzell Building. Other Academic and Administrative Services occurs in the Mellor Building. The Hartzell Building is a one story brick building completed in 1978, which includes classrooms and the offices for Admissions, Financial Aid, Counseling, Assessment, and the Academic Center. This was the first campus building which was completed in 1908. It is an imposing 4 story red brick building with a wide front porch and a clock tower. Thaddeus Stevens students completed renovations to the clock tower in 1993, installing carillons. It was known as the 'Main Building' until 1976 when the name changed to Mellor Administration Building. Currenly used as an administration building, the main floor includes the office of the President, Vice Presidents, and the Business Office. There is classroom space on the upper floors and the lower level houses the Women's Center. The Residential District includes all areas where students live and have residential activities. 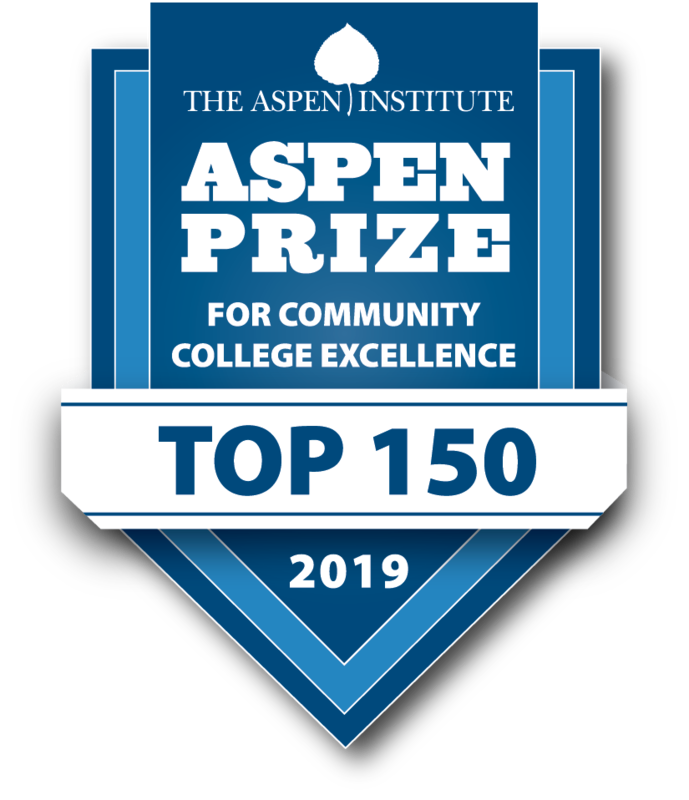 This is currently housed in areas on the Main Campus that includes: Herrington Hall, Metzger Hall, Armstrong Hall and Bourne Hall and is also going to be a significant district at the Branch Campus. Armstrong Hall, when completed in 1976, was known as West Hall; it was renamed Armstrong hall in 2000. Most recently renovated in 2007 and currently houses up to 150 students in double rooms. Bourne hall was completed in 1967, and named Cottage E; in 1976, it was renamed Bourne Hall. It was most recently renovated in 2005-06, and currently houses up to 28 students in single rooms. Brenner Hall was completed in 1931 and originally known a 'Cottage C'. It was named Brenner Hall in 1976, when many buildings on campus were dedicated. For a time, it was used as the Alumni House, then converted back to a dormitory in the early 1990s. Brenner Hall also houses the Nurse's Office on the first floor. Herrington Hall was completed in 1976, and known as 'East Hall'. It was renamed Herrington Hall in 1999. Metzger Hall was completed in 1967 and named Cottage D. In 1976, it was renamed Metzger Hall.